Eye tracking shows the immediate reactions of users, as well as the distribution of their attention in an interface. Testing software and applications during development is important to ensuring they are effective for the user. Many development teams have established ways to run usability tests in each sprint to get feedback into the agile development process. Observing eye tracking live in this process helps engage different stakeholders to establish a common understanding of the user experience. Eye tracking fits well into the iterative process, and the insights keep the team focused on what matters to the user. Is it easy for users to perform their tasks? What is looked at just before a usability issue occurs? 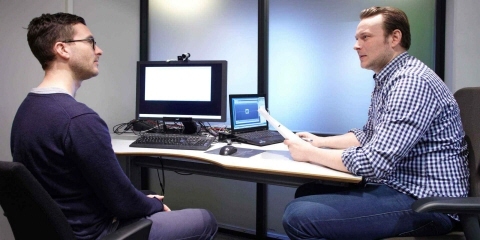 The eye tracking recording is often accompanied by an interview to get more information from the user. The insights are valuable in judging what adjustments need to be done to make the software or application more useful. Check out these two video clips to understand how live viewing works. The red dot indicates where the user is looking.